If you are among the very lazy ones or belong to the category of people who are busy during the 8 out of the 7 days in a week, Tripit should be your top choice. 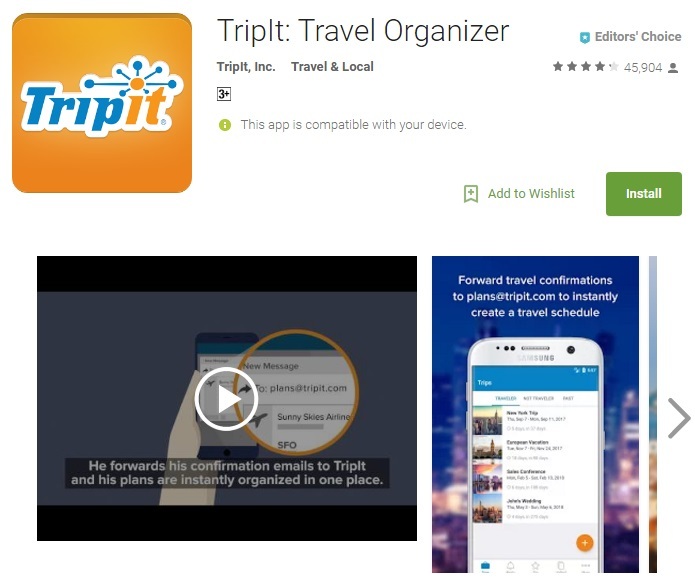 This multifarious app works on a unique algorithm which creates a travel itinerary once you forward your travel confirmation e-mails to plans@tripit.com. And if you do not have the time to do that as well, you can allow Tripit to extract your travel e-mails automatically from your Gmail, Yahoo!, or Outlook.com mail box. It also provides you with an option to sync your itinerary with your calendar so you do not schedule other events with your travel plans. Upgrading Tripit to Tripit Pro will allow the app to send live flight details and other reminders to keep you alert. You May Also Like This - Deep Web vs Dark Web: What Is The Difference? An app that will make sure you do not end up sleeping on the streets once you arrive at your destination. Airbnb has a humongous database of hotels, cottages, dorm rooms and shared rooms all over the world. There is practically no neighborhood or region which this app doesn’t cover. You can filter your search results based on budget, facilities, location and many other options. 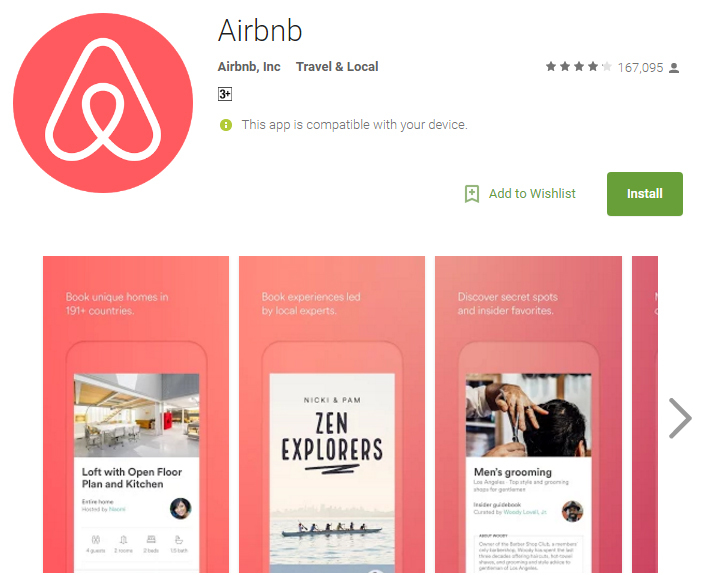 So, what makes Airbnb different from other apps? The unique feature in this app is the ability of the user to benefit from the host mode. In this mode, you can share the extra space in your room with other travelers and even manage their reservations. Who else thought they could earn even while traveling? Time to make your travels more fulfilling and rewarding. The best app for booking flights. 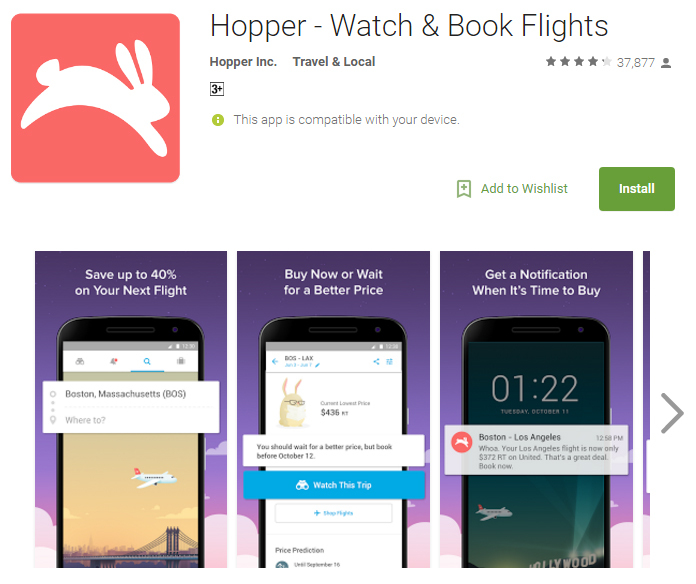 Hopper is clearly hopping away in becoming one of the best apps for booking flights at the right time. It received the Standout Startup Award in the year 2016 by Google Play and earned praises from Apple as the only travel app to make it to its list of ‘Best of 2015 apps’. What makes this app unique from its competitors is the fancy bunny feature which predicts whether you should book your flights right now or wait for a better time. It notifies you as soon as the airfare drops within your region of interest. That’s one amazing feature every online user has been looking for. Don’t wish to travel alone? This app assists you in finding like-minded people who are traveling to the same destination as yours. And how does it do that? The users have several ways to choose from like the location, language or destination filters. You can create your own tribe by making a new travel group or by joining one. It’s basically a full-fledged social media platform like Tinder, except that it deals with serious travelers only. The in-built messaging facility allows travelers to connect and plan their journey before arriving at a gathering point. 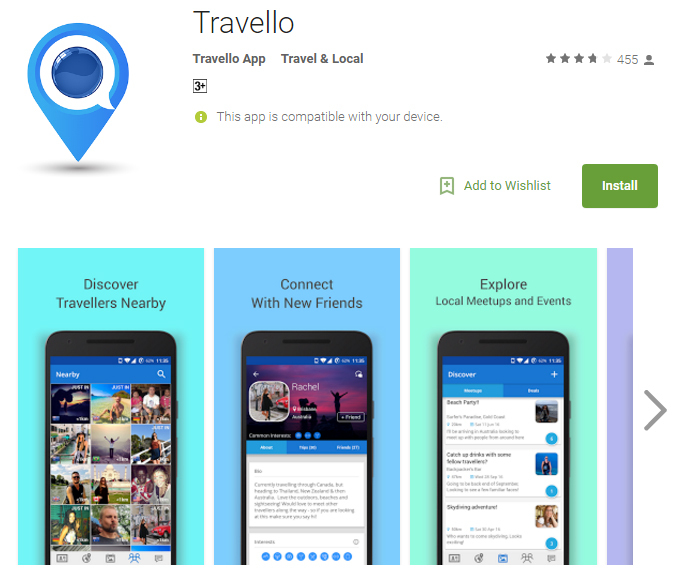 You can even connect with the Travello community to get tips and advice from travelers who have previously visited the same place. If you want to travel on a budget, and you aren’t able to find the right app to save more money, you can always look for various coupons and deals online. Never get lost with this incredibly fast navigation map. Maps.me has a unique offline feature that will help you find your way out of even the most remote parts of the world. You can choose between driving, walking, and cycling based on the length and proximity of your destination. And not just that, the app even notifies you whether you’re walking/cycling uphill or downhill. Thanks to its open source feature, the app allows OpenStreetMap contributors to update the maps on a frequent basis. The app can be used online for extracting live traffic data and to choose your fastest way around nooks and corners. The online feature also helps you in locating nearby restaurants, cafes, entertainment arenas, bus depots, and many more vital locations. You can share your location via social media or by the text messaging service. 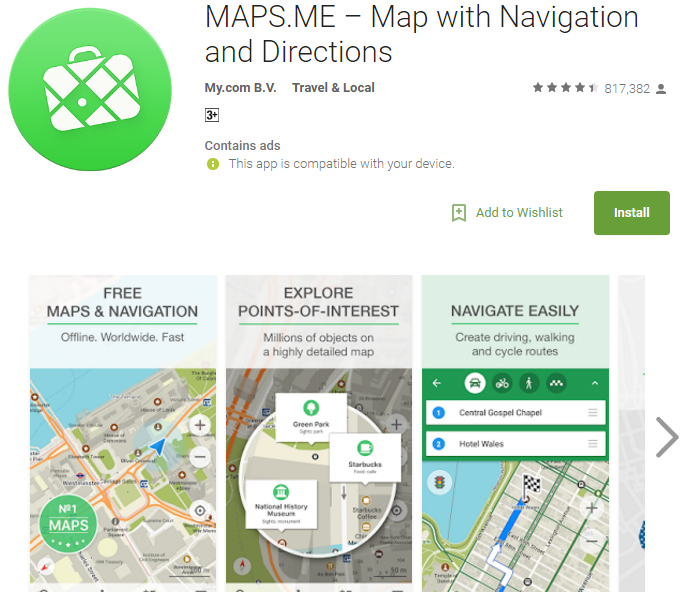 Maps.me is definitely one giant travel package within a single app. An enthusiast once said, ‘If traveling was for free, you’d never see me again’. Well, it definitely isn’t for free but we are sure you would save a lot if you use a bunch of apps like the ones mentioned above. If you know any other good traveling apps then let everyone know about it by commenting below.